Fred C. Robinson is known throughout the world for some of the most original and stimulating work on Old English literature and language published in recent times. 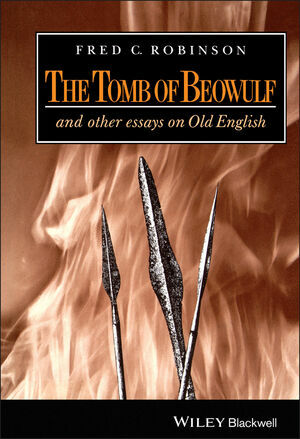 The Tomb of Beowulf collects thirty seven of his essays and three substantial new articles. The book is informed by the author's preoccupation with meaning, context and language and their subtle interactions. Its contents are equally characterized by readability and scholarship, and by learning and wit. Fred C. Robinson is, with Bruce Mitchell, the author of A Guide to Old English the fifth edition of which was published by Blackwell in 1991. 2. Literary Interpretation: Several Poems. 5. Three Editions of the Old English Texts. 6. Women in Old English Literature. 7. Names in Old English Literature. 8. Linguistic Studies in Old English. 9. Old English in the Twentieth Century. List of Essays and Notes by Fred C. Robinson not included in this volume. List of Reviews by Fred C. Robinson. Contains three substantial new articles.